Yongju is an accomplished student from one of North Korea's most prominent families. Jangmi, on the other hand, has had to fend for herself since childhood, most recently by smuggling goods across the border. Then there is Danny, a Chinese-American teenager whose quirks and precocious intelligence have long made him an outcast in his California high school. These three disparate lives converge when they flee their homes, finding themselves in a small Chinese town just across the river from North Korea. As they fight to survive in a place where danger seems to close in on all sides, in the form of government informants, husbands, thieves, abductors, and even missionaries, they come to form a kind of adoptive family. But will Yongju, Jangmi and Danny find their way to the better lives they risked everything for? 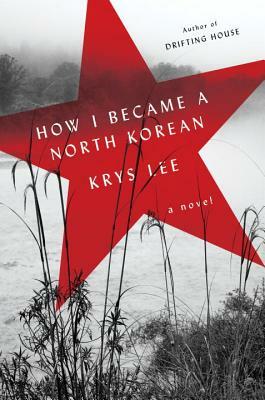 Transporting the reader to one of the least-known and most threatening environments in the world, and exploring how humanity persists even in the most desperate circumstances, How I Became a North Korean is a brilliant and essential first novel by one of our most promising writers. One of Elle.com's "11 Best Books to Read in August"
One of Bookpage's "Six Stellar Summer Debuts"
Krys Lee is the author of the short story collection Drifting House and How I Became a North Korean. She is a recipient of the Rome Prize and the Story Prize Spotlight Award, the Honor Title in Adult Fiction Literature from the Asian/Pacific American Libraries Association, and a finalist for the BBC International Story Prize. Her fiction, journalism, and literary translations have appeared in Granta, The Kenyon Review, Narrative, San Francisco Chronicle, Corriere della Sera, and The Guardian, among others. She is an assistant professor of creative writing and literature at Yonsei University, Underwood International College, in South Korea. "Lee's story throws light on a place we know little about, in heart-wrenching, lyrical detail." —Elle.com, "11 Best Books to Read in August"
"A masterful portrayal of the personal side of world politics." —BookPage, "Six Stellar Summer Debuts"
"An ode to friendship. And freedom." —New York Post, "This Week's Must-Read Books"
"Haunting . . . A vivid and harrowing read."